E-commerce market competition is growing day by day. Everyone tries their own techniques to gain traffic, more customers, and conversion. Video marketing is one of them. Many online retailers want to use this strategy but not get best results because of their lack of knowledge. Video marketing is one of the best techniques to increase your customer strength. It is helpful to enhance on-site customer experience. Firstly, start with a small amount, means create and upload only a few products video on your product page and see the results. According to results make strategy and do some changes and then make videos of all products and upload on your web page. If your conversion is increased 3 to 4%, it means there is a big impact of videos on the traffic. You should start video marketing with a thought, what you want to show your customers about your products. What are their requirements and what questions they can ask when they watch your video? According to all questions select a video and then upload. You can upload many types of video about your products that can be attention gaining like. Upload your product review video. This will increase your customer confidence to purchase. Upload video when you unwrap or unbox a product. That is really awesome, and customer stops and looks that. This creates a desire in your visitor’s mind to purchase your product. Create videos that show how you can use this product and how you can maintain it. If you have a genuine and latest product, then you can create the video of the comparison between old and new model. You can create your own original videos of your products. If you create your own videos, it will help to increase your brand trust. This will give you long-term relationship with your audience. Create the unique video of your products, show your customer and increase engagement. You can use sorted videos that are made by professionals. Use brand videos because they are made by experts and high-quality. In present time UGC is more popular if you use curate videos from social media that really helps to increase your visitor trust on your brand. You can use create and curate videos both. According to your customer behavior, you can use these videos for your on-site better customer experience. Tracking of your every marketing technique in E-commerce is very important. Track your matrix after using video marketing. Analyze your traffic and conversion. Check which type of video gives you desired result and use the same strategy for all products. Your site structure of E-commerce store should match the content of your videos. Videos should be on proper place. Your content of the video should appear quickly. And one most important thing is your video should be well optimized and responsive. Use all these tips and create your product videos to get more conversion and traffic. Create professional and high-quality videos. Upload videos according to customer demands. If you focus on your strategy, then you must get the better result. What to consider when choosing the right email marketing software? Find out here! Initially , I was skeptical about using videos to gain popularity and visitors, but your step by step guidance like making a product review and so on, indeed has eased my tensions. 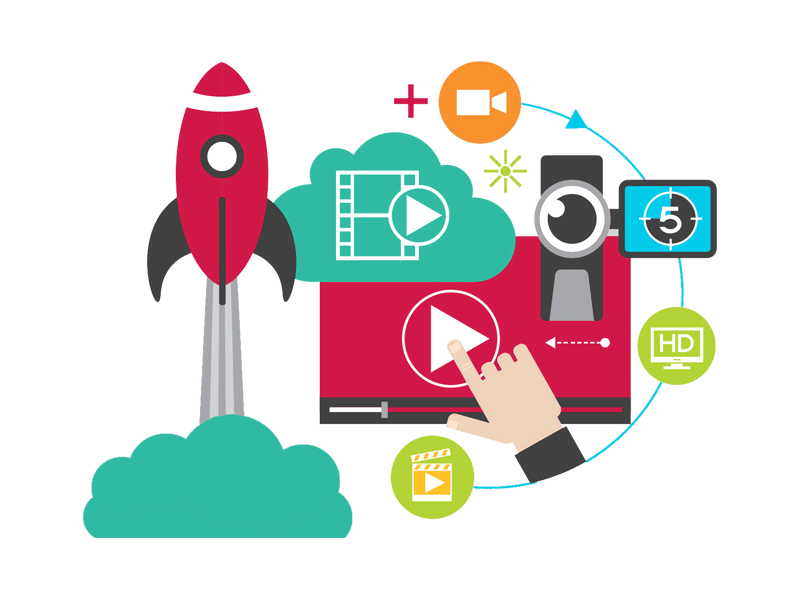 Video marketing is really a great contributor to increase a business. It may be blog, app, ecommerce site etc. Hi Robin, Amazing points.. Video Marketing is growing and being in a trend for many businesses. We can also observe many white board animation videos all around the YouTube. Those look really interesting too. Though, as you mentioned how to use, Genuine Reviews has the potential to turn the viewer into customers. Thanks for the valuable spread. Hey Robin, you’ve mentioned some key facts here on video marketing and I absolutely agree. Another thing is that businesses find video marketing time consuming, but let’s all admit that it provides one of the best conversion rates when it’s done right. You don’t need long, useless videos. You need short, on-point content!